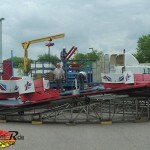 First invented by Herbert Sellner in 1926, the Tilt-A-Whirl has certainly stood the test of time, with over 1,000 units manufactured and an estimated 600 of these operating throughout the USA and abroad. The ride consists of seven cars, each fixed to a pivot pin on each platform. These platforms then roll around a circular track of hills and valleys at 6.5 rpm, putting changing centrifugal and gravitational forces on the cars, making them tip and spin randomly. 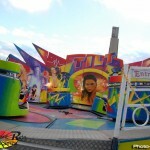 Due to the truly random nature of the Tilt-A-Whirl’s motion, it has often been the basis for mathematical analysis. Mathematical models indicate that when the platforms travel at very low speed along the track, the cars complete one backward revolution as their platforms go over each hill. At high speeds, a car swings to its platform’s outer edge and stays locked in that position. It is unlikely that the Tilt-A-Whirl’s inventor performed such mathematical analysis, but instead used simple practical experiments with scale models. 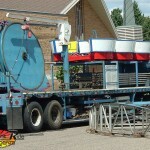 The Tilt-A-Whirl can handle over 500 passengers an hour and a portable unit can fit onto a single 40 ft trailer. Each unit sells for around US$250,000. I live in Faribault where the Tilt WAS made and know many that worked there. Pictures etc could be forwarded to them thru me. 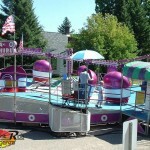 A few years ago, KMG debuted a version of the Tilt-a-Whirl called the Fun Factory. 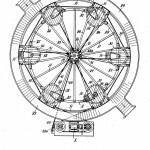 It moves a great deal faster and the operator controls the degree of spinning. I think the speed is 18 rpm. 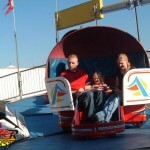 I often refer to it as the “Tilt-a-Whirl on crack” because of its intensity. 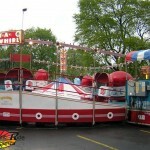 However, the classic Tilt-a-Whirl is still good if it is run by a skilled operator who knows to vary the speeds. Thanks for discussing your ideas. The first thing is that students have an alternative between fed student loan as well as a private education loan where it is easier to opt for student loan debt consolidation reduction than over the federal student loan. Here’s my large scale Lego Tilt-A-Whirl :) I’m currently constructing a Meccano version. Love this ride. Especially the early cable-drive, gas powered models with a clutch. 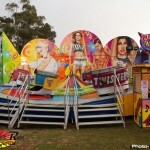 Tilt-a-Whirls aren’t like this anymore. I’m a child of the ’80s/’90s, and ours were basically carousels that you had to stand and be strapped into, that would lift, tilt, and whirl–clearly more true to the name than whatever this thing is. 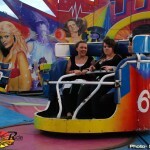 Best ride at the fair !!! Ever had a 10 min. Carney ride? Go so fast you lose everything in your pockets. Well thats the way i ran the tilt. 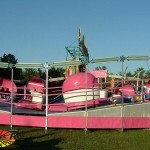 I wanna rent this ride for a school function, help me out!